What’s the key to winning a 100 meter sprint? Getting out of the blocks fast! You have to know how to start so that you don’t find yourself behind the pack. That’s what I want for all of you who are part of teamRIPPED and attempting to begin your race to a healthy, fit body! When I redesigned teamRIPPED, I wanted to make it as easy as possible to get all the information you’d need to have an amazing transformation. It’s easy to buy a workout program, but then what? That’s what I’ve designed this “Getting Started” section for, so bookmark it and refer to it when you need some direction! I hope it will help both the newbies and the veterans who need a little boost. Here’s what the “Getting Started” section has in store for you …. If you are reading this, CONGRATULATIONS! You have decided to take control of your health and fitness, and you are ready to get MAX results! I have learned a lot about how to get MAX results, I’m living proof of what MAX results look like, and I’ve helped many others to get MAX results of their own using many of Beachbody’s workout programs. First, Choose a workout program and get a Coach! You may have already done this. If so, perfect! Move on to step 2. If not, be sure you make me your coach. 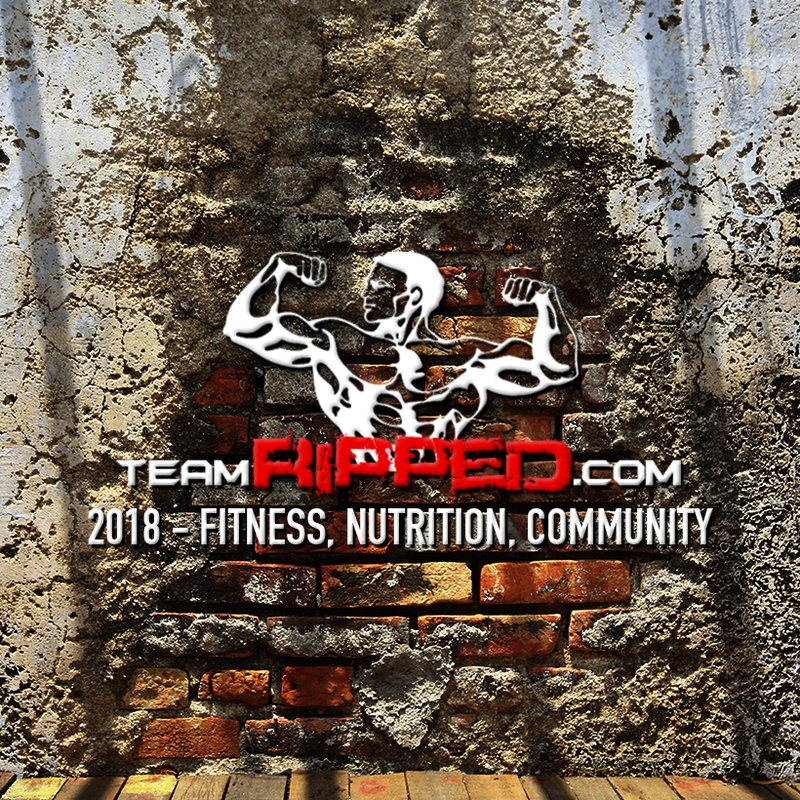 It’s free, doesn’t cost you a dime, and entitles you to be part of teamRIPPED so that we can help you every step of the way on your journey to reach your fitness goals. Do that by clicking the “Join Our Team” tab. You may be trying to decide which program is for you. There is something for everyone. You can start with something like P90 or Focus T25. 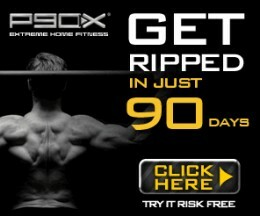 You can go for an extreme workout like P90X or Insanity. 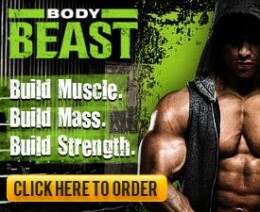 You can go for an absolutely INSANE workout program like P90X2, MAX30, or Asylum V1 or V2. Or you can do something in between like Core De Force, 21 Day Fix, P90X3, or 22 Hard Corps. Look under the “programs” tab at the top of this website to learn all about the different options you have. 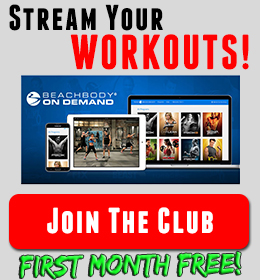 Another great option to look at is Beachbody On Demand and the All Access Pass. BOD is like netflix for Beachbody workouts. As long as you have the internet, you can stream your workouts to any device! With the All Access Pass, you get a year membership for $99 and access to ALL the programs BB has and will release this year. It’s amazing! This is honestly the best deal in fitness. However, for those of you who like to get all your ducks in a row from the start, there is a way to SAVE MONEY by ordering a bundle that includes your fitness program, Shakeology, and a VIP club membership (with Beachbody On Demand streaming), along with free shipping on everything, for a much-reduced rate. That is called a “Challenge Pack” — Read more about how to order your own Challenge Pack in the article “Beachbody Challenge”. Second, determine the equipment you’ll need! If you choose a workout program like Insanity or Turbo Fire, you won’t need anything except a way to play the DVD’s or stream the workouts and something to wipe up all the sweat. With a workout program that involves resistance training (like P90X, Body Beast, or Hammer & Chisel), you’ll need some dumbbells or resistance bands. I personally prefer dumbbells, but bands work well too. You’ll need an assortment of sizes since the exercises vary so much. On some exercises, you can lift a lot of weight, and on others you’ll need very light weight. You can get an assortment of individual dumbbells or you can get a single set of adjustable dumbbells like those made by Bowflex or Powerblocks. For P90X, X2, X3, Beast, H&C, Asylum… and more LOL, you’ll need also need a pullup bar (or again you can use the bands to substitute). There are also lots of other nice pieces of equipment you might want to add (not necessary but nice to have). My favs are the Chin Up Max, Power Stands, and Jump Mat. You never know if you’ll be in the next infomercial (like I was!) or in the next set of workout videos that come out (like I was)! I thought it was silly to take Day 1 pictures that I figured only my wife would ever see. Little did I know how much my body would change, and luckily I had those Day 1 pics as proof. Be sure you take good pictures, document your progress with photos, and take measurements along the way. Read these articles for tips = Measuring Body Fat and Photo Tips. Fourth, learn everything you can about nutrition. The level of results you get is in DIRECT PROPORTION to the effort you put into the nutrition. So many people neglect this area. But not us! Part of why I got such great results was that I paid such close attention to my nutrition. I was fanatical about it. Most of our Hall of Fame transformations followed my same approach. And while it may seem tedious to study up on it, it’s every bit as valuable as the workouts to giving you the transformation you are after. I’ve written TONS and TONS about nutrition, and I’ve cataloged the most important of those articles into a single resource, the NUTRITION ALL-IN-ONE. Take the time, read it, and give yourself the best chance at success! I can guarantee that if you’ll follow the nutrition approach I teach here, your results will be off the charts! Fifth, make a plan to PLUG IN! It’s so important to be part of a team when taking this journey. A team will help hold you accountable. A team will keep you motivated. You will become more passionate about your journey as you share it with others. That’s one of the best things about teamRIPPED — we provide each other with the support, encouragement, and kick in the rear that we all need sometimes. Read more about how to really PLUG in with these articles = “TAP IN” and “Power Source”. And be sure to visit our FACEBOOK TR17 Challenge Group to engage with others. Sixth, know that it won’t be easy. Seventh, set big goals and land your spot in my teamRIPPED Hall of Fame!! But put all the doubts and fears aside, and set your goals BIG! Then have a single-minded focus on getting to those goals! Be “Fanatical”! And I’ll save you a spot in my teamRIPPED Hall of Fame and my teamRIPPED Before / After Gallery just for you! Just like a sprinter in the Olympics, I expect to see my teamRIPPED peeps blowing everyone away as they hit the line!